The Garden Media Guild (GMG) is an association that brings together professional garden writers, authors, photographers, broadcasters, editors, lecturers and allied trades. The Garden Media Guild's aims are to raise the quality of garden writing, photography and broadcasting, and to keep our members up-to-date with events in the world of gardening and horticulture. STOP PRESS Join the Guild now and take advantage of our discounted membership rate - you only pay half the year’s membership, plus the joining fee. Access to a wide range of like-minded creatives and the wider gardening industry. Quarterly magazine, GMG News, and monthly e-newsletter to ensure you are kept up-to-date with events, new books, publishing, photography and general gardening news. Free entry for submissions to the annual GMG Awards. 10% discount on business insurance. Exclusive discounts and offers from numerous companies and suppliers. Attending events, briefing days, garden visits and workshops specifically organised and designed to benefit members. 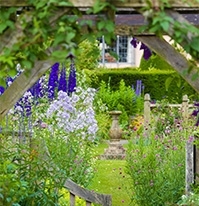 Raise the quality of garden writing, photography and broadcasting. Help members operate efficiently and profitably. Improve liaisons between garden writers, photographers, publishers and more. Although I had previous writing experience, I wanted to take my love of garden writing more seriously as a long-term career change. In order to improve my skills, I joined the GMG. I was immediately put in touch with writers I respect greatly, who offered me assistance and encouragement. My mentor, Jane Perrone, gave a lot of time and pointed me in the right direction with advice on approaching publications and how to focus on specific topics. The annual Awards Lunch is great for recognising people's work, but is foremost a fun networking opportunity to meet other writers, photographers and broadcasters to share tips and advice, which I really enjoy. The garden visits too are an interesting and relaxed way of meeting other writers. The GMG really is the place for immersing yourself in the world of garden media.